Fuel costs are understandably one of the most significant and variable cost components in the transport industry. The Flexible Fuel Factor (FFF) was introduced for the purpose of providing for the increased costs in fuel, primarily diesel, to fairly compensate our couriers and line haul operators and to ensure a high level of transparency in our pricing model for our customers. How does the FFF impact my on business/courier pricing? There is a trigger point of $0.95 cents (diesel retail price including GST) at which FFF for domestic courier services is applied. Every 1c movement above $0.95 in the average retail pump price over a calendar month, results in a 0.1% increase in our service and product pricing. This is updated monthly and will be automatically adjusted on your invoice. 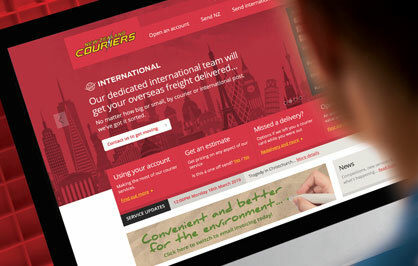 International Courier Services will be subject to a separate Flexible Fuel Factor2. The rates for our Flexible Fuel Factors will be recalculated on a monthly basis for the coming month so you are able to take this into account. 1Average diesel retail price (adjusted for regional fuel taxes) as published by the Ministry of Business, Innovation and Employment which they refer to as the "main port price". We will calculate the FFF for any given month using the average diesel retail price (adjusted for regional fuel taxes) from two months earlier. Q: What is a Flexible Fuel Factor (FFF)? A: The total price you pay for a courier product / service will comprise of three components - the base price of products / services, the Flexible Fuel Factor and the RUC surcharge. This is calculated by multiplying the base price of the products/services by (the Flexible Fuel Factor + RUC surcharge), then adding this figure to the original base price to get the total price. The Flexible Fuel Factor was introduced for the purpose of providing for the volatility in fuel prices to fairly compensate our couriers and line haul operators - whilst also ensuring our customers benefit from any drop in the price of fuel. For more information on RUC surcharge click here. Q: What does "trigger point" mean? The "trigger point" is the retail cost of diesel fuel at which the FFF will start to be charged on your courier products/services. Q: What is the "trigger point" at which I will be charged an FFF? Domestic Courier Rates – The trigger point is $0.95 (this is based on average diesel retail pump price inclusive of GST over a calendar month). 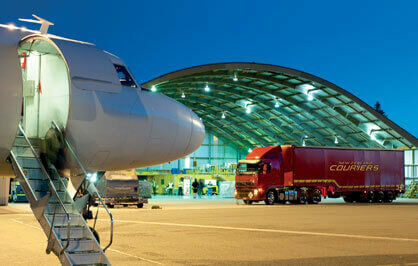 International Courier Rates - The costs of our international services are strongly impacted by the cost of jet kerosene and the Flexible Fuel Factor will be dictated by our international partners (with jet kerosene being a key factor). This figure is adjusted monthly. Please click here for specific information on our international FFF. Q: How do I find out the current rate? A: Our website will be updated each month with the FFF surcharge percentage for the next month. You can find the current rate here at the top of the Flexible Fuel Factor page. Q: How will the FFF appear on my invoice/statement? A: We will include the FFF in the price of the charges listed on your invoice/statement. This allows you complete visibility as to the total price of each item. Q: How often will the FFF be reviewed? A: We will review the average price of fuel each month. If the average diesel retail pump price fluctuates, our FFF will rise and fall in line with fuel prices. The FFF mechanism can be reviewed if New Zealand Couriers believes that business conditions require this. Q: How do I manage this increase within my business? A: We will implement a two month lag to try and provide a buffer in regard to the latest increases, and each month we will post the FFF surcharge percentage for the next month on our website. The rate for each subsequent month will be based on the average price two months prior. Q: How long will the FFF apply to my account for? A: Should the retail price of diesel (incl GST) drop below our FFF trigger point of $0.95 per litre, the FFF will revert to 0% (after the two month buffer). Q: What has happened with the price of diesel? A: To view the "Weekly oil price monitoring" information as published by the Ministry of Business, Innovation and Employment go to the Ministry's website here, this shows the average diesel retail pump price in New Zealand which is referred to as "main port price". At the time of first looking to implement the FFF (July 2008), diesel prices had risen by 85% over the previous year. 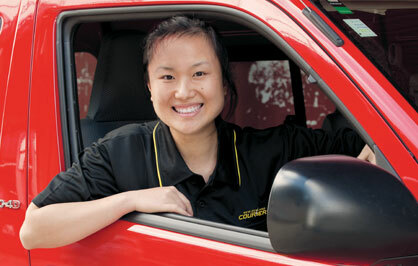 Q: Why a different FFF for domestic Courier Services and International Courier Services? 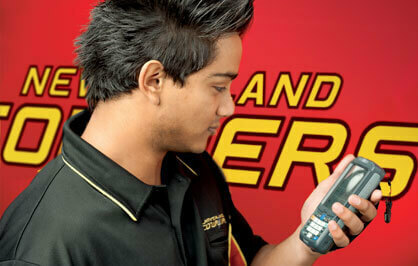 A: In terms of fuel, the greatest impact on our domestic courier network (i.e. within New Zealand) comes from movement in diesel prices; the greatest impact on our international courier network (ie exports/imports to/from New Zealand) comes from movement in jet kerosene prices. Movements in diesel and jet kerosene prices are not always directly aligned - the purpose of the FFF is purely to pass on incremental costs, not increase margin, by creating two separate FFFs we can offer our customers increased transparency. Q: How does the Emissions Trading Scheme impact the FFF? A: The New Zealand Emissions Trading Scheme (ETS) is part of the Government’s primary response to global climate change. Effective 1st July 2010 an additional tax has been applied to fuel, and passed on through the pump price. For more information on the ETS visit www.climatechange.govt.nz/emissions-trading-scheme.